Chik-fil-A introduced its Mealtime Kits in August. As more consumers eat at home, industry experts forecast 2019 to be a lot like 2018 — that is, another year of flat restaurant traffic. Specifically, officials at market research firm The NPD Group predict the industry will finish 2018 with spending up 2 percent and traffic flat, the same outlook it gives for the year ending December 2019. Yet, despite the expectation of a repeat performance, officials at the Port Washington, N.Y.-based firm say there are opportunities for disruption. What pockets of growth NPD does foresee will be found across the restaurant landscape. Large chains will continue to focus on value, and emerging independents and micro chains, or concepts with 3 to 19 units, find a recipe for success with innovation and experiences, the firm noted. Meanwhile, full-service restaurants are expected to increase their spend by 3.8 percent and large chains by 3.6 percent. How will operators make this growth a reality in 2019? NPD outlined three ways operators can meet the needs of consumers in the new year through a variety of tactics. Driven by technology and the growing work-at-home workforce, consumers will continue to eat more meals at home. Therefore, finding a role as an in-home solution will be important for growth, noted Portalatin. Some operators have already begun experimenting, and Portalatin said he fully expects others to follow suit. For example, in late August, Atlanta, Ga.-based Chik-fil-A rolled out Mealtime Kits, pre-portioned ingredients that consumers can turn into a meal in under 30 minutes at home. The chicken sandwich brand’s kits, priced at $15.89 and featuring recipes such as the Chicken Parmesan and Pan Roasted Chicken, are available at Atlanta-area locations for a limited time. “We know our guests are busier than ever and need a variety of convenient dinner options,” Michael Patrick, who oversees Chick-fil-A’s innovation and new ventures, said in a recent statement. The foodservice industry is going digital at an accelerated rate, a trend that NPD expects to in the coming year and beyond. Digital orders, which currently account for five percent of all orders, will increase 22 percent per year through 2020, according to NPD research. By 2020, digital orders will account for eight percent of all orders. “In an otherwise flat environment, [digital] is a great way to differentiate,” Portalatin said. In a digital sub-trend, some progressive operators are doing away with the brick-and-mortar restaurants altogether, opting instead to operate virtual, delivery-only restaurants. “This phenomenon is very, very small right now, still in its infancy,” noted Portalatin. Among the early innovators in this area is the New York-startup Green Summit Group, which in 2017 launched nine virtual restaurants out of a single kitchen in Chicago fulfilling orders exclusively for Grubhub customers. Similarly, third-party delivery company DoorDash over the last few years has been setting up commissary kitchens for its delivery-only restaurants, a concept that it hopes to expand across the country. 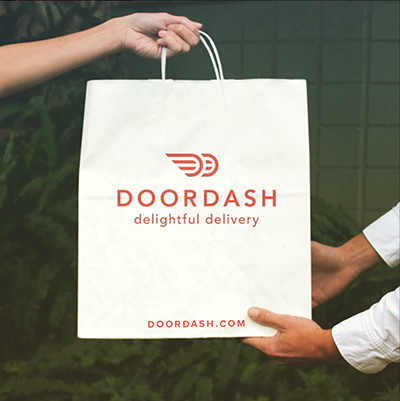 “We’re excited to help create an experience on DoorDash where proximity will no longer get in the way of ordering from your favorite restaurants, Marissa Kaplan, DoorDash strategy and operations manager, said in a company blog post. But when customers do decide to get off the couch and dine out, the experience needs to be worth the trip. “Acquisition of consumer goods — these sales are not growing at the same rate as experiential, making memories,” said Portalatin. 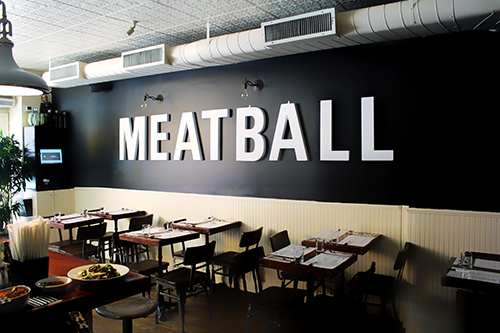 The vibe at The Meatball Shop, a fast-casual concept with seven locations in New York City and Washington, D.C., is heavily focused on the dining experience. For example, Rosenabum notes that adding pay-at-the-table technology, which can expedite orders and improve table turn time, could potentially have negative impact on the dining experience. For now, The Meatball Shop is enhancing its dining experience in other ways, such as exploring which of the restaurant’s music its customers are enjoying (or not), and by offering unique happenings, such as the new Tasting Table Naked Book Club, a Monday night dinner and discussion led by Tasting Table founder Geoff Bartakovics at the West Village location. Other ways restaurants will look to differentiate themselves in the year ahead include focusing on plating, innovative cuisine (especially ethnic cuisines) and excelling at a certain level of service, Portalatin added.